A site where people from all over can talk about everyone's favorit purple dragon. To help anyone who is confused or lost. Ask us about how we can make this site a better place for everyone. What's new around the site and upcoming anouncements. Vote on polls here and look at past polls. Websites you made, you like, find intresting, or like. Topics that are not about Spyro. Topics that are about anything. Topics that are about anything you want to talk about. Topics that are about any video game that are not Spyro related. Role Plays that are epic, funny, and cool. General talking about any thing that is Spyro related. Storys made by members of the site. Art made by the members. Spyro games that are played on your phone, I-pad, laptop, or cell phone. 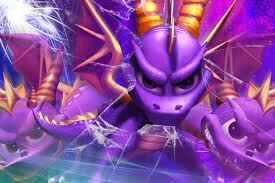 First Spyro game not made by Insomniac and fourth in the Spyro series. The begining of the Legend. Last game of the Legend. Talk about Skylanders: Spyro's Adventure. Talk about the new skylanders Giants! Talk about the online game of Skylanders. Talk about the mobile phone version of Skylanders. Needs more info befor any posting.